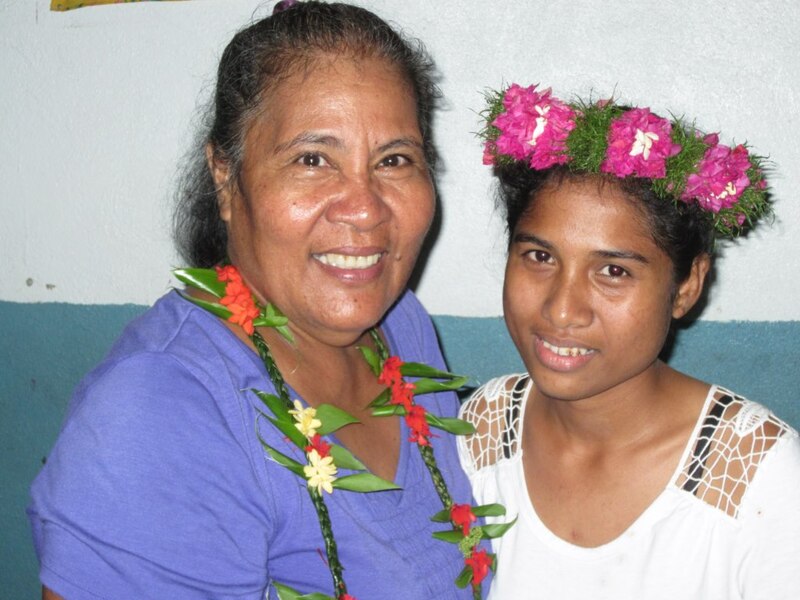 (January 2014) During the Bible translation seminar in Yap, the longest serving Bible translator in Micronesia, Betty Amon, met with the newest Bible translator in Micronesia, Dorothy Ligiteiwel. When Betty was just a little girl her mother was already involved in translating the New Testament into the Nukuoro language. Betty later followed in her footsteps, helping to complete the translation of the Nukuoro New Testament. After further Hebrew studies, she began work on the Old Testament. She is now working with a faithful team of Nukuoro speakers to complete the entire Bible. Dorothy recently joined the Satawal translation team when visiting consultant, Dr Alpheaus Zobule, requested someone from outside the team to answer questions about the draft. This is an important part of checking a translation. Dorothy’s parents, who are both part of the Satawal translation team, asked her to be that person. The experience sparked a keen interest in Bible translation for Dorothy. She later participated in the Yap Bible Translation Conference held in early January. That’s when Betty and Dorothy met each other – an encouragement for both!